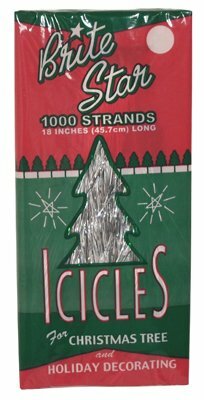 Brite Star Tinsel Icicles, Silver, 3 Packages, 1000 count each by Brite Star at Two Clock. MPN: unknown. Hurry! Limited time offer. Offer valid only while supplies last.